Prince Adebanji Aladejare was born in È̩fòn-Aláayè Kingdom, he was one of the grandsons of Oba Bamilosin Solomon Aladejare I. His book, "A History of Efon Kingdom from 1180 A.D. To Present Day: A Study in Militarism, Heroism and Adventurism" was released on September 14, 2017. This is the first time an attempt has been made to write a comprehensive history of È̩fòn kingdom that is one of the main reasons why the author, Prince Adébánjí Táiwò Aládéjàre considers this book as his Magnum Opus (Masterpiece). Personally, this book has been very insightful and at the same time impactful to me and I hope you also find it helpful. Moreover, the author is an accomplished historian; he attained his first degree in Economics and his Master’s degree in Political Science and International Relations from the prestigious University of Manitoba, Canada. 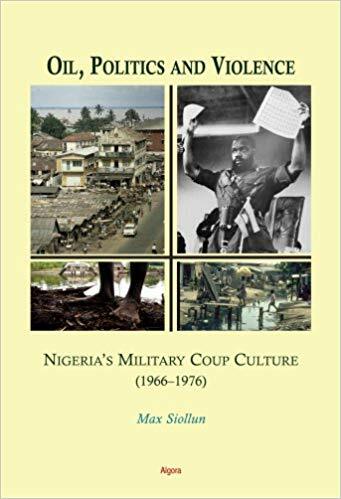 After attainment of the Golden Fleece in Canada, he returned to Nigeria in 1981 and subsequently commenced work on this historical book around 1983. Spanish-American philosopher George Santayana observed that those who cannot remember the past are condemned to repeat it. Likewise, it was the author’s subscription to the “School of Thought” that understanding of the past is necessary before one can fully understands the present, or venture into the future that informed his decision to work on this essential and historical È̩fòn book. Furthermore, in this scholarly book, Prince Adébánjí Táiwò Aládéjàre gives us a refreshing new look at the glorious past of È̩fòn-Aláayè Kingdom, her customs including spirituality, indigenous judiciary and pre-colonial administrative system, which could be said has a resemblance of a modern federalism. He also eloquently narrated the numerous wars fought by the adventurous È̩fòn army and elucidated È̩fòn’s interrelationship with other Yorùbá towns and city-states. Moreover, even though it is an established African truism that Character is not innate, the author demonstrated clearly in this book that the gene of militarism, heroism, and adventurism was indeed transmitted from one generation to another. ﻿﻿﻿﻿The Igbos: Why are they still Biafrans? ﻿Reading Okey Ndibe’s Foreign Gods, Inc.
﻿﻿ A Review of “Leading from the Emerging Future”: Any Lesson for Nigerian Leaders?